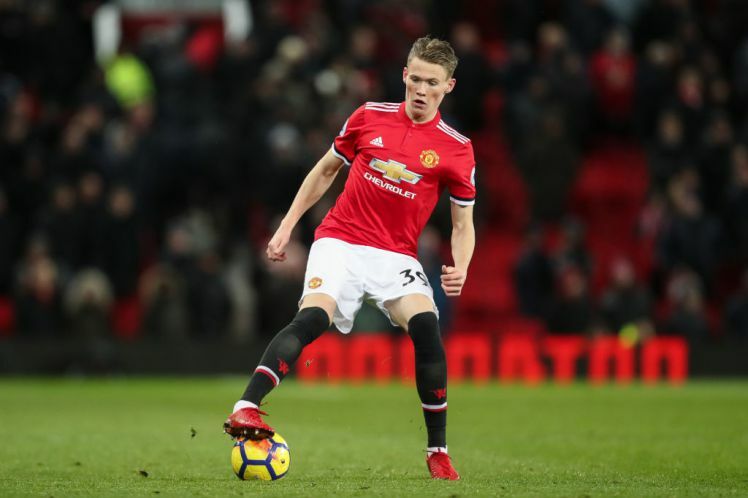 Jose Mourinho of Manchester United was originally interested in a Rangers loan deal for the top rated 6’ 4”, 21-year-old Scott McTominay, during the January transfer window. He was showing wonderful potential as a central midfielder and Jose and his coaching staff decided to keep him in Manchester, to see first-hand, the progress he would make as the season unfolded. The fact that he was in and around the first team squad for most match days, swayed his decision to finally refuse the Ibrox club enquiry. McTominay made 23 appearances for the Red Devils so far and was on the bench for last weekend's FA Cup final against Chelsea. He was also given special recognition by his manager, winning the club's first Manager’s Player of the Year Award. He proved to everybody, that he could be a real star of the future for club and country. Reports recently suggest that manager Mourinho is lining up some major new, very expensive midfield signings for his Man U side, in the hope of wrestling the title away from Man City next season. If Jose acquires many of the targets he wants, he will allow McTominay to gain the much needed first-team playing time with a top club elsewhere. This would push young McTominay down the pecking order on his first team opportunities in Manchester and help convince Scott to agree to an Ibrox one-year-loan-deal. Or better. Would young Scott see our new Rangers manager as the perfect mentor for him to learn from, and playing his football in Glasgow help him to fully develop as a top quality international midfielder? It probably all depends on Mourinho’s choice of which team should win his loan deal services - furthermore speculation recently suggests the Portuguese may let him go permanently too. If, that is, he can find replacements. Ultimately, a loan move could suit both sides, as no money would exchange hands, and he has already shown his undoubted talent by playing in the EPL, in the Man U first team. Although born in Lancashire, England, he has a Scottish father and on 23 March, Scott McTominay was given his first international cap by Alex McLeish in his first game back in charge of Scotland. McLeish was on his second international spell as the boss, and he played Scott for 58 minutes in a 1–0 friendly defeat to Costa Rica and he played fairly well in this brand new environment and experience for him. Would young Scott help the Gers to bridge the gap that has developed since 2012? It would be a fantastic coup for Rangers, but I think it is entirely unrealistic as the lad has progressed massively since Jan & is now at a higher level.